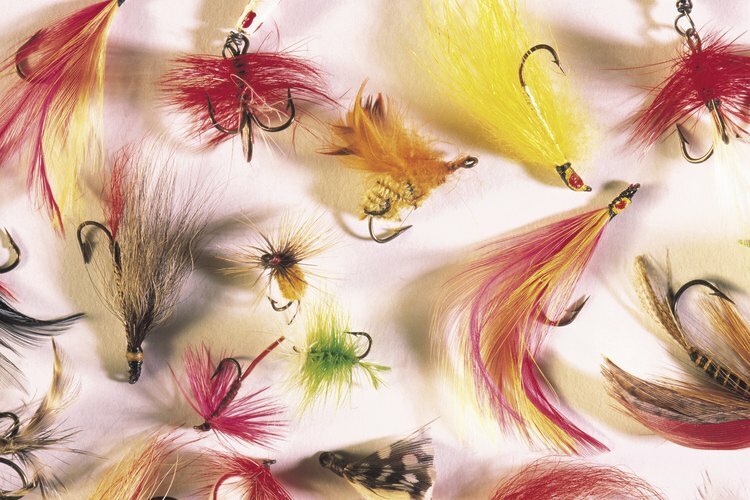 A selection of fishing lures. A common misconception when it comes to bass fishing is that bass are a hard type of fish to catch. However, with the right bait and lures, you can easily reel in a largemouth bass with little effort. The market is crowded with a number of different types and finding the best bass lures makes a difference in how many fish you can catch. Soft plastics are designed to look like creatures that bass naturally feeds on. This includes worms, crustaceans and amphibians. The plastic is soft so it is pliable in the water. To eliminate the smell of plastic, some fishermen opt to use bait spray as they fish. When reeling it in, you can control the speed to mimic the movement of the actual creature. Bass fish won't know the difference until they snap their jaw over the lure, but by that time, they are hooked and ready for you to reel them in. Known as plugs, crankbaits can be used for fishing in deep waters or can run along the surface. 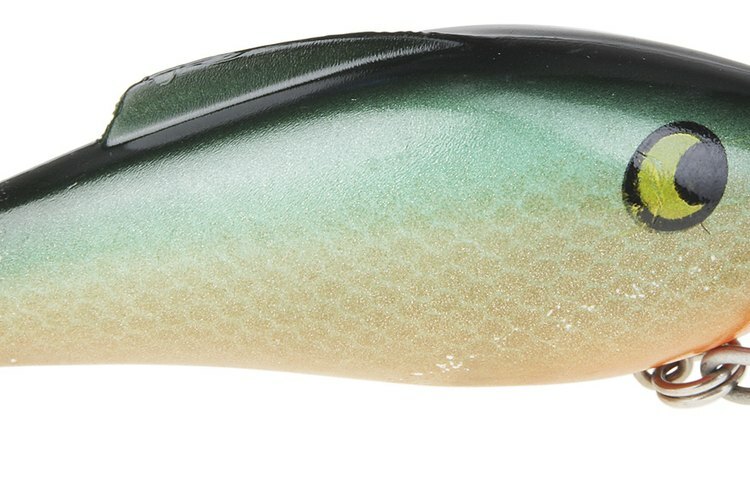 The placement of the metal lip on the lure determines how it reacts to the water. Crankbaits can be made of wood or plastic and typically have two or three hooks. They are made in a multitude of colors, with patterns reflecting those that are common in nature. These type of lures are commonly used to catch striped bass and black bass. They can also be used to catch other predators, including bluefish. Rubber shads get their name from their primary material. These lures are shaped like a smaller fish that bass typically preys on and boast a simple silver or brown coloring. As you reel this type of lure in, you can recreate the movement of an actual fish, which entices the bass as it swims by. 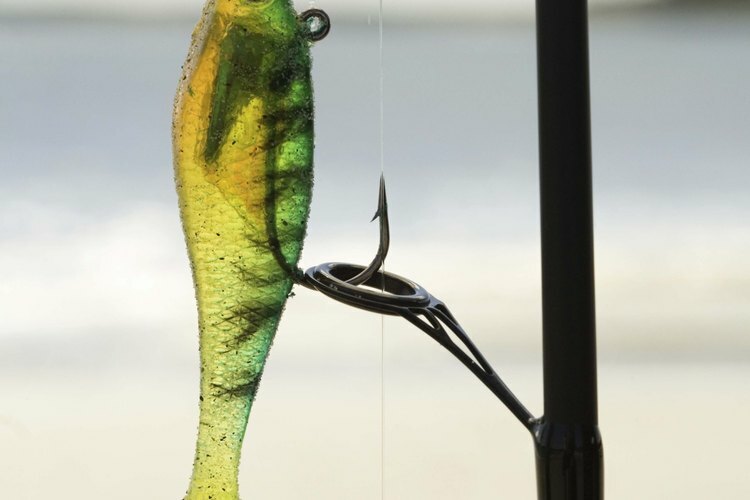 Rubber shads feature a hook, which typically runs along the topside of the fish. Bass with few teeth, such as largemouth and striped bass, are attracted to this type of lure. In addition to artificial lures, there are natural bait options to help you catch bass. Depending on where you are fishing and the weather conditions, natural bait may be a better option than artificial bait. It is important that you have the proper storage available to ensure that you are able to keep for this type of bait alive while you fish. 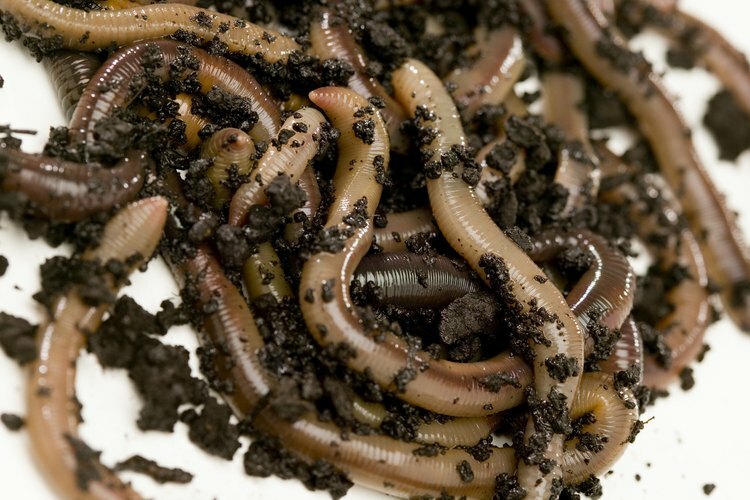 Leeches, crayfish and earthworms are solid choices of natural bait for catching bass fish. What Lures Do You Use With a Bait-caster?